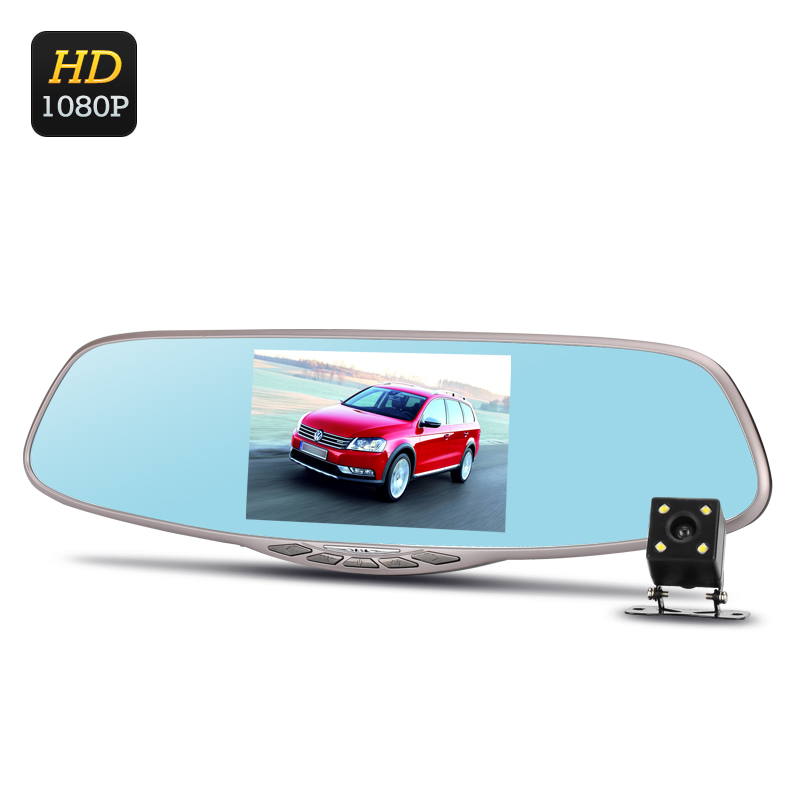 Successfully Added Dual Camera Rear Mirror Car DVR - Full HD, Motion Detection, G-Sensor, Rear Camera, Loop Recording, 5 Inch Screen to your Shopping Cart. Suitable for just most vehicles this car this Android rearview mirror will be your best friend on the road with its front and rear cameras. Sporting a 1/4 inch 12MP CMOS sensor this full HD dash cam has you 100% covered and couldn't be easier to install, just positron the dash cam over your review mirror and fasten in place with the rubber straps. Boasting a 170 degree viewing angle the front camera will capture the full road ahead so nothing can escape its view. Adjustable while balance means that this highway companion will record great quality footage in all light conditions, whether it's a bright and sunny or overcast you'll get quality footage every time. With both front and rear camera recording you can get a full view of the entire road around you providing undisputable evidence in case of an accident. Thanks to its 5 inch IPS screen you can replay any action for instant affirmation when determining any fault on the roads, so you can easily challenge any fraudulent claims with concrete evidence, even at the roadside. Coming with all the features you could require this car dash cam will timestamp your recordings and will automatically start when you turn the ignition, so even if you forget to activate it, this car DVR will have you covered. See something interesting you the you can protect the recorded files from being overwritten with the simple file lock key, great for saving those scenic drives and awe inspiring vistas as well as comical and dangerous divers. If the built in G-sensor detects erratic or sudden movement the system will automatically protect your current recordings. With support for 32GB SD cards and efficient H.264 video compression there's loads of room to record your journeys and provide extra insurance on the roads. To the uninitiated this dash camera looks like an oversized rearview mirror and you can discreetly monitor the road without drawing attention. As well as a front FHD camera this dual camera kit includes a rearview camera a that supports 720x480 resolutions providing a clear view for parking and maneuvering into tight spots. This Dual Camera Car DVR Kit comes with a 12 months warranty, brought to you by the leader.